Special Low Rate on Used Cars This Holiday Season! Home / News / Special Low Rate on Used Cars This Holiday Season! It’s never been a better time to get into a new used or preowned car! We have special financing for a limited time at a special low rate of 2.99% APR! This offer is available for new YNB loans only; however, we’d love to refinance your existing loan at another financial institution and bring it to YNB. 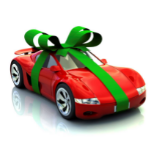 Whether you’re looking at a used or preowned car to visit family this holiday season or want to surprise someone with an amazing gift we can get you the best financing available! The fastest way to secure your low rate is to prequalify in just a few minutes online. You can also call or visit any of our 5 locations and speak with a lender to get our quick approval process started! Don’t pass up this amazing offer to enjoy the holidays with a used or preowned car for you and yours. Have a great holiday season from YNB!